While there was not a big for sale sign at the base lodge @MaineSkiFamily made the opening day trek to get our season passes pictures taken and get on the Saddleback snow we know and love. We have mixed emotions about Saddleback being for sale. The Berry's have been instrumental in improving this mountain over the past 10 years while keeping skiing as affordable as possible. We hope that 'tradition' can continue with a new owner, while breathing new life into the capital infrastructure of Saddleback. But that is for another post. It was great to get on-snow at Saddleback. It was cold! It was in the upper 20's in Freeport when we left but it was around 14 degrees at the base lodge... and single digits at the top of the Rangeley chair. The temps stayed there all day - welcome to winter! 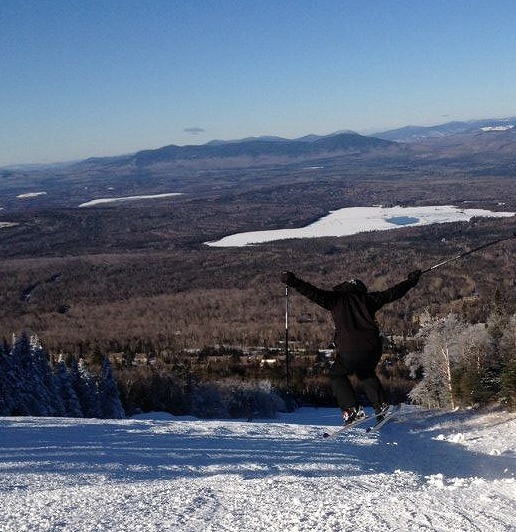 We got our season pass pictures taken and clicked in to our skis for our inaugural Saddleback runs. Royal Coachman and Grey Ghost were the open trails from the top of the Rangeley chair... an improvement over last year as only Ghost was open to start the 2011-12 campaign. They had a modest terrain park and green circle terrain open from the Wheeler chair. Royal Coachman was fast and firm. Grey Ghost was a bit chunky and variable in spots, but actually skied better as the day wore on and the chunks were stirred up a bit. Great deep cover on both trails - no dust and run snow making at Saddleback. 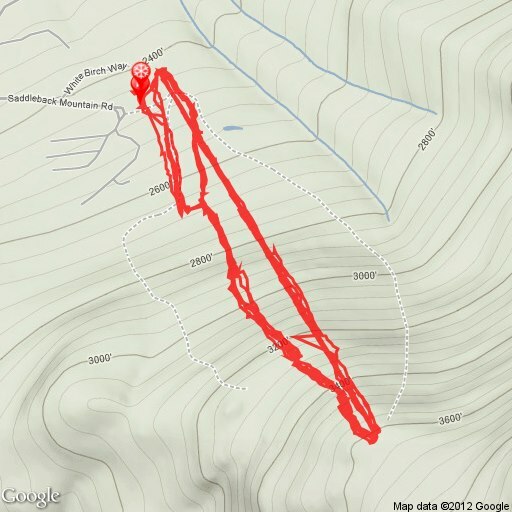 I am trying out a new IPhone app called Ski Tracks. We officially got 9 ski runs in and almost 10,000 feet of vertical. Pretty cool app but churns through the battery. Not sure if it would last an entire ski day. 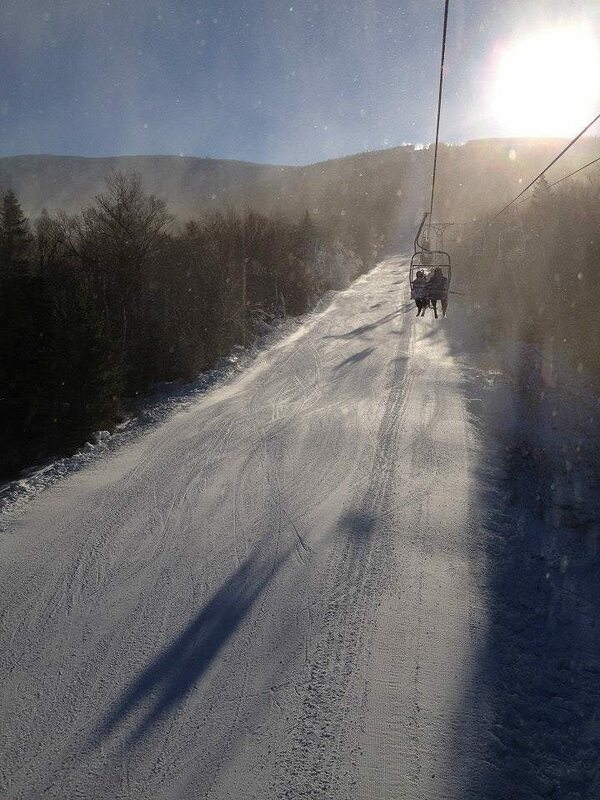 We skied 10:00 - 2:30 and it was a great day to start our season. This upcoming week weather forecast looks very stormy! The forecast is very perplexing. The mountains could get NUKED with snow but the temps seem borderline and the dreaded "R" word could make an appearance . I have next Friday off so I am PRAYING for a POW DAY. We are very happy to be back at Saddleback!